Welcome to the “Love Shack”. This quaint little couples retreat has been put together with much love and I hope you enjoy your stay as much as I have putting it together for you. Located approximately 1 hr and 10 minutes drive from the Wahroonga M1 turnoff. Once you leave the M1 and start to meander through the country roads and the beautiful trees it will prepare you for a relaxing weekend. 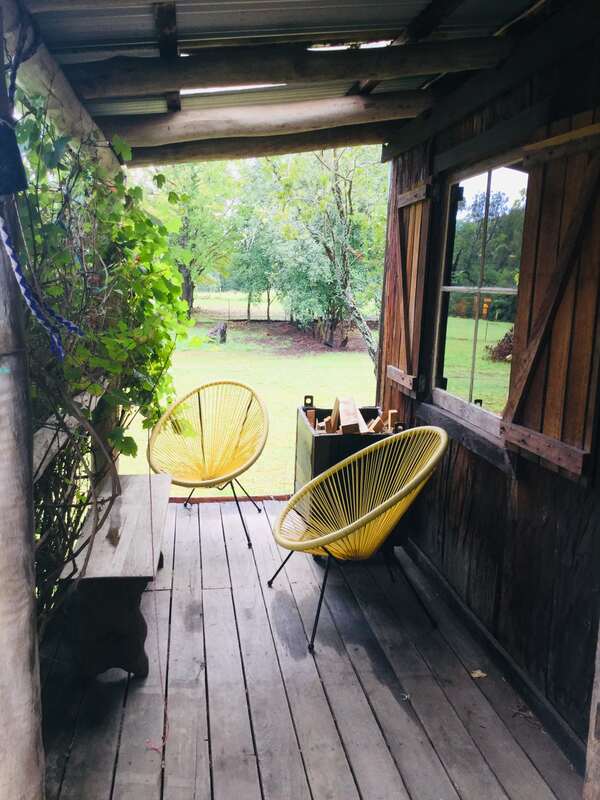 The “Love Shack” is 2 kms from the centre of Wollombi close enough for a lovely stroll into this quaint little village. 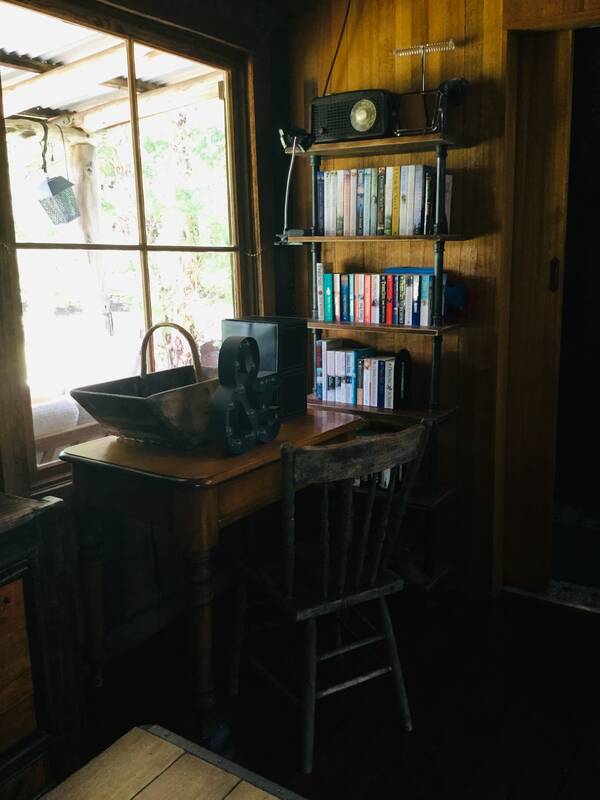 This charming little cottage backs onto the Wollombi Brook which you can exploreor you can just sit on the verandah or in the Spa and watch the world go by and listen to all the beautiful bird life. Dine in the outside dining area in the warmer months or curl up inside by the open fire in the cooler months. 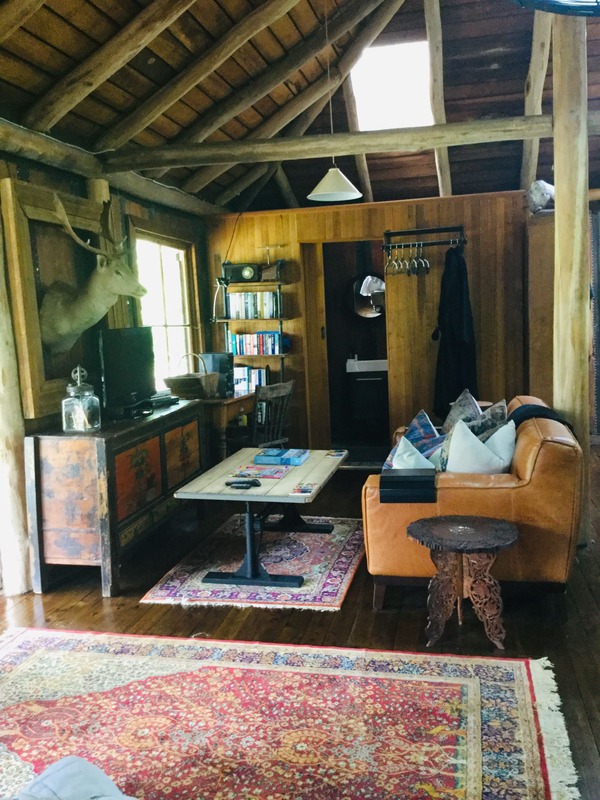 Whilst the cottage is full of charm and character with original timber floors, walls and ceiling it also includes modern conveniences to make your stay a very comfortable one. 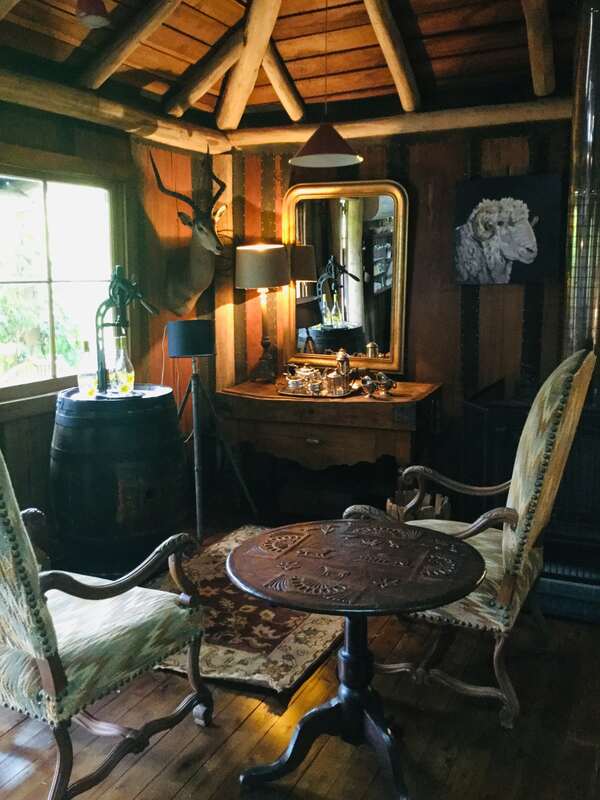 Each and every little piece that makes up the “ Love Shack” has been hand selected to compliment the rustic Australian Bush Hut. Each piece of timber in the construction of this has been hand milled and makes the Shack very unique and authentic. When you step inside, one big room gives you a cosy, comfortable living space. From the Wine appreciation corner where you can sit and enjoy your Hunter Valley wine selections to the dining space where you can enjoy any manner of cuisine you choose,to the Lounge area just big enough for “2”. The “Love Shack has it all for a peaceful relaxing weekend. Once you enter the great outdoors you can experience the Spa Retreat with beautiful views to the great outdoors or have friends join you in the outdoor dining space I have created just for you to enjoy. A bit of history comes with the Outdoor Dining Setting. 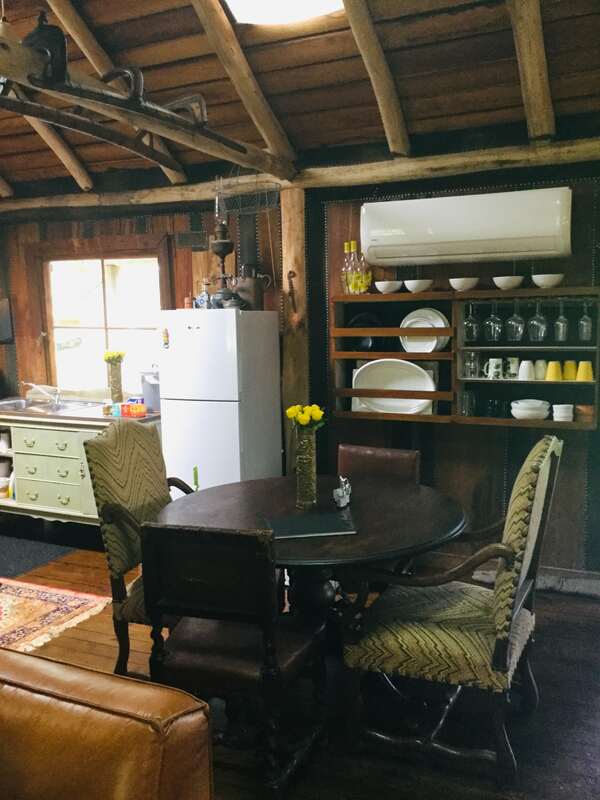 The hand made Table and Benches was constructed locally by an artisan and started their life at “Brunos’ Italian restaurant in the main street of Wollombi. It has since moved onto the “Love Shack” and is a great place to share an outside meal with the love of your life or friends. 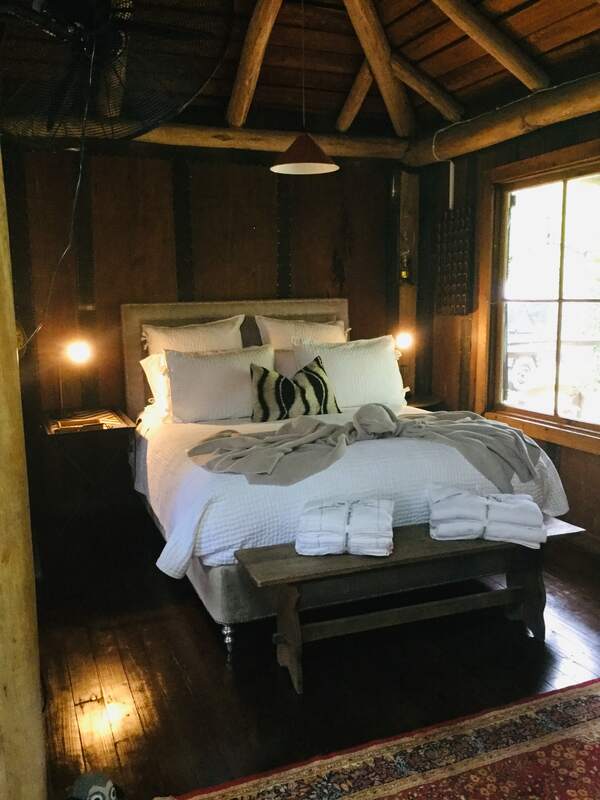 Whether you're here to explore the Wineries, enjoy a concert,a wedding or special event in the Hunter Valley or just relax and chill the “Love Shack” is the perfect peaceful retreat for couples. Minimum 2 night stay or 3 night on Long Weekends. Hotel quality linen and towels supplied. Beach Towels supplied for Spa. Bathroom is stocked with Shampoo, Conditioner, Hand Wash, Soap and Hair Dryer. 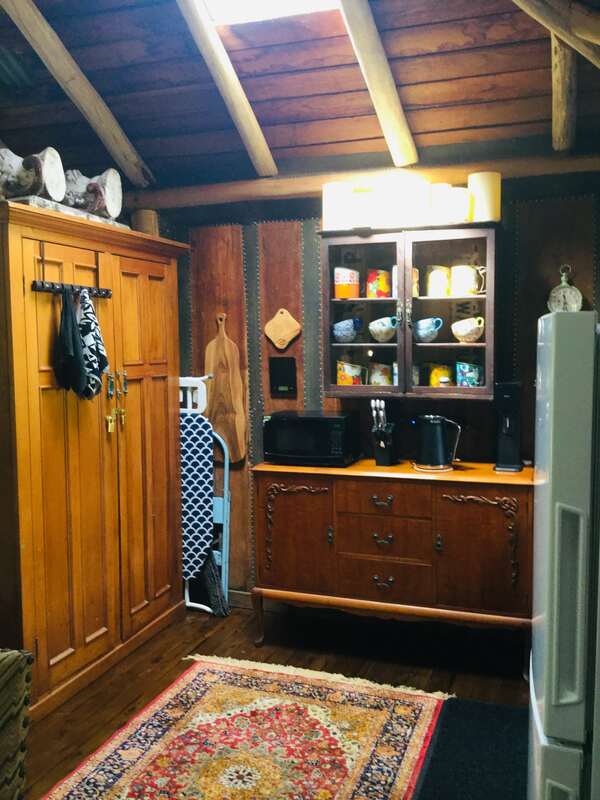 Fully equipped eat in Country Kitchen including Fridge Freezer, Microwave, Bench Top Oven, Toaster and Kettle. Flat Screen TV with DVD collection including new release. Comfy Leather Lounge to snuggle up on. Ironing Board and Iron supplied. Small Pets allowed – max 2. "a beautiful location, exceptional service and an enjoyable stay"